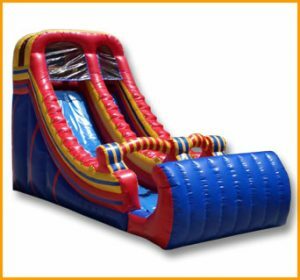 3 competitors may go against one another on this beautiful triple lane 18′ back load triple lane slide. 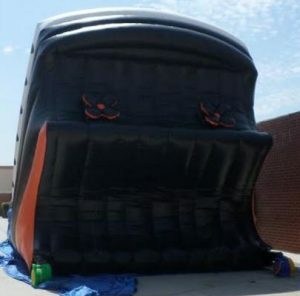 This wavy slide is fun for kids of all ages. 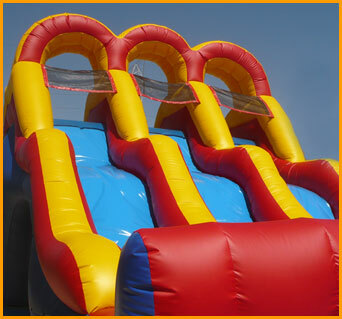 3 competitors may go against one another on this beautiful triple lane 18′ back load triple lane slide. 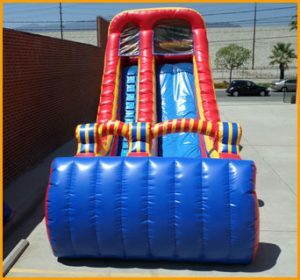 The primary colors used on this slide make it versatile for all kinds of party themes. 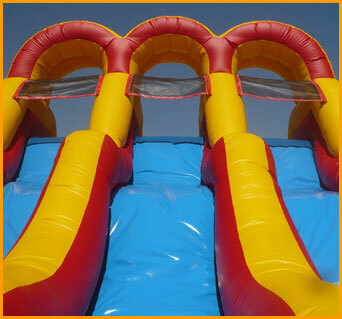 The triple lane back load slide is the perfect way to keep kids playing and exercising while having tons of fun. 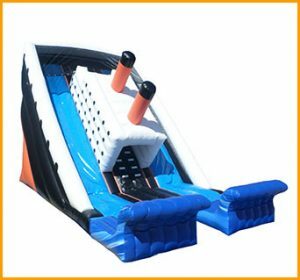 Made with quality materials and impeccable workmanship, Ultimate Jumpers ensures the durability and long lifespan of this unit. 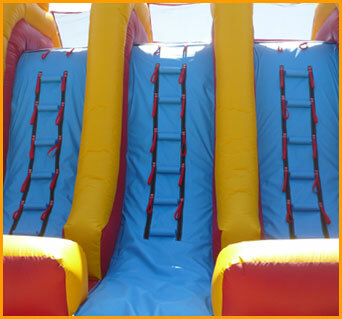 Ladders and slide blankets are removable for easy cleaning and convenient replacement purposes.